One of the original gateways to Yellowstone National Park, Livingston is a popular destination among locals and visitors alike. This epicenter of culture and outdoor exploration lies on the banks of the Yellowstone River in Montana’s Yellowstone Country. 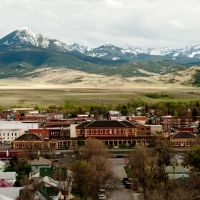 Whether you’re here for Livingston’s truly exceptional downtown experience including shops, restaurants, live theater, galleries and museums, or you’re looking for breathtaking mountain views and all-season outdoor adventures like skiing epic powder or fly-fishing against the backdrop of the Absaroka Mountains, there’s something for everyone in and around Livingston, including a 4th of July rodeo and the Livingston Film Festival.